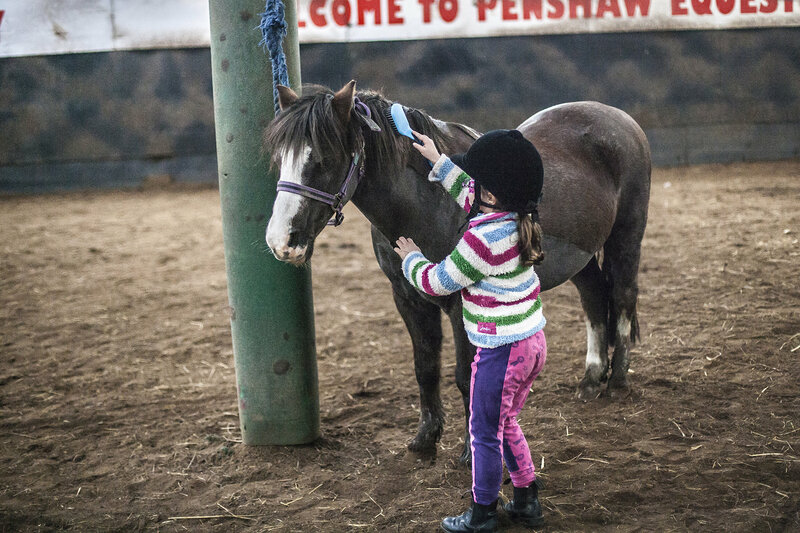 Many individuals, in particular children, are able to find acceptance and wellbeing through working with horses and experiencing the simple love and understanding that comes from being with these gentle giants. 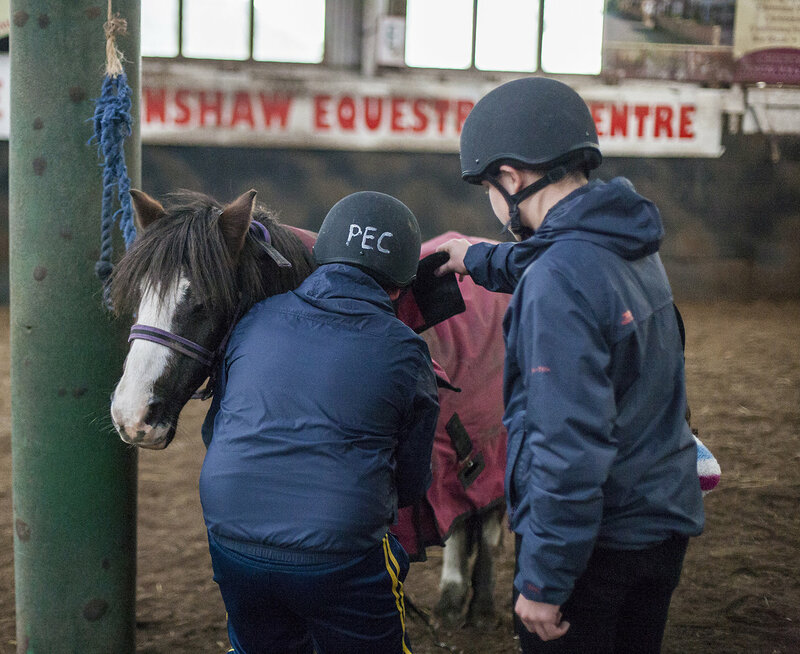 At Penshaw Equestrian Centre, we have focused on the psychological benefits of being with horses and converted them into a series of educational packages held at our centre. These packages, combined with the general horse riding lessons newcastle that we can offer, create the perfect holistic equine offering to appeal to those who may be seeking alternative experiences to develop their personal or professional character. Psychologists state that interacting with horses helps children and adults to form better emotional connections across both working and personal life. Horses have the ability to remind us that, just like them, we all live on the same planet and have the same desires and fears. Wanting to feel accepted, wanting to have friends and wanting to strengthen relationships and get along with each other are all key goals for both humans and horses. This discovery can be a revelation for those who have been struggling with acceptance in peer groups or with themselves and the affinity that is developed with the horse can be very empowering for handling other life situations. Children with Autism have showed an exceptional result from equine therapy as they can find true acceptance and trust from the horse, allowing them to feel more accepted in everyday society, creating better relationships and increasing qualities such as loving and compassion. Horses also help us to discover hidden parts about ourselves. They help us become better people, better partners, better friends and better parents. They are also great for teaching us a lesson or two. They teach us that when we are not getting what we want we are the ones who need to change, either how we are doing something and maybe even how we acting in what we are doing. And what a great lesson to teach our children. A horse can be a child’s greatest teacher in learning and developing personal attributes that can enrich a child’s wellbeing. Those of you who already have horse riding lessons Newcastle will know that a horse has no ego, never lies and is also never wrong. A bigger fact in this modern day is that children and young people spend a lot of time on smartphones, computers, games consoles etc. and spend less time interacting. This has been seen to disconnect children from the natural world and put them in a world that is their game. Real, physical interaction with horses can startle children out of this virtual world, creating real-life problem-solving scenarios and opportunity for creative thinking. The emotional connections that can be built with an honest and trusting four-legged partner can bring about empowerment, peace and self-confidence that no computer game ever could. In addition to this, being with horses provides opportunity for physical activity and being outdoors, all-too-important in an increasing digital world. Horses connect children to the power of nature and living in the moment. Many have stated that time spent outside interacting with a horse is one of the most powerful ways to prevent nature-defect disorder and inspire children to learn, grow, be healthy and, most importantly, to accept themselves and realise that they too are important and can achieve anything they want to. PENSHAW EQUESTRIAN CENTRE. LEARN, LOVE, ENJOY HORSES.